To push this message further, screenings will take place across 12 markets for over 1000 future tech divas over the next two weeks. The movie tells the incredible untold story of Katherine G. Johnson, Dorothy Vaughan and Mary Jackson—brilliant African-American women working at NASA, who served as the brains behind one of the greatest operations in history. 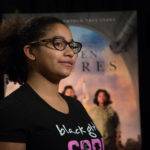 20th Century Fox and Black Girls CODE have partnered to create FutureKatherineJohnsons.com, a website built by and profiling the next generation of young women poised to make a difference in our world the same way that Katherine G. Johnson, Dorothy Vaughan and Mary Jackson did at NASA, as told in the upcoming film, HIDDEN FIGURES. 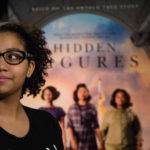 More than 1,000 girls from Black Girls CODE chapters across the US will attend screenings of the film to celebrate the groundbreaking work of women of color who helped our nation succeed in the Space Race of the 60s. 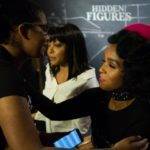 Watch it now on Blu-ray, DVD and Digital HD Digital HD http://bit.ly/HidFigDHDYT Blu-ray & DVD http://bit.ly/HFPHYYT HIDDEN FIGURES is the incredible untold story of Katherine G. Johnson (Taraji P.
Founded in 2011, Black Girls CODE is a not-for-profit organization focused on introducing girls from underrepresented communities ages 7 to 17 to the field of technology. Their mission is to increase the women of color in the digital space and diversify the tech industry. Hidden Figures tells the incredible untold story of Katherine G. Johnson, Dorothy Vaughan and Mary Jackson—brilliant African-American women working at NASA, who served as the brains behind one of the greatest operations in history – the great race to space. 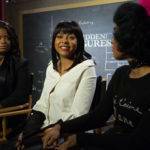 These “hidden figures” paved the way for future generations of women of all colors in STEM. Starring Taraji P. Henson, Octavia Spencer, Janelle Monáe, Kevin Costner, Kirsten Dunst, Jim Parsons, Mahershala Ali, Aldis Hodge, Glen Powell & Kimberly Quinn, “Hidden Figures” opens in select theaters Christmas Day, and everywhere January 6th, 2017. To see the future of STEM and the work of BGC members, visit FutureKatherineJohnsons.com. 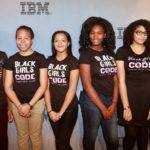 Founded in 2011 by Kimberly Bryant, Black Girls Code is a not-for-profit organization, headquartered in San Francisco, focused on providing a technological education to girls of color between the ages of 7-17. 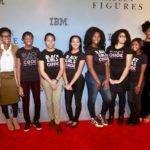 Black Girls CODE’s organizational vision is to increase the number of women of color in the digital space by empowering girls of color ages 7 to 17 to become leaders in their communities, innovators in STEM fields, and builders of their own futures through exposure to computer science and technology.